You can look up your polling place here. I still have questions about what propositions and races I am voting on? No worries: Check out our state proposition guide or go to our election 2018 page for full coverage on Bay Area propositions and races. Polls open at 7 a.m. and close at 8 p.m. It’s the law that you’re allowed to vote if you’re in line at 8 p.m.
How long will it take to vote? 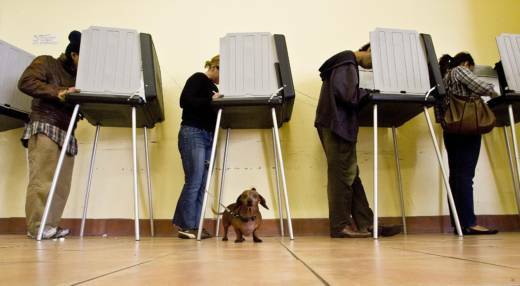 California law gives people two hours of time off to vote if they don’t have enough time during non-work hours (the average amount of time Californians waited in line to vote was nearly seven minutes in 2016, according to the MIT Election Data Science Lab). What if I forgot to mail my vote-by-mail ballot? Your ballot must be postmarked on or before Nov. 6. You can also drop it off at a polling place in your county or your county elections office on Election Day anytime before polls close. OK, well ... what if I lost my vote-by-mail ballot? No sweat. You can fill out a provisional ballot at your polling station. Your ballot will be counted once election officials confirm you are a registered voter and haven't already voted. What do I need to bring? Generally, you don't need to show your ID when voting. 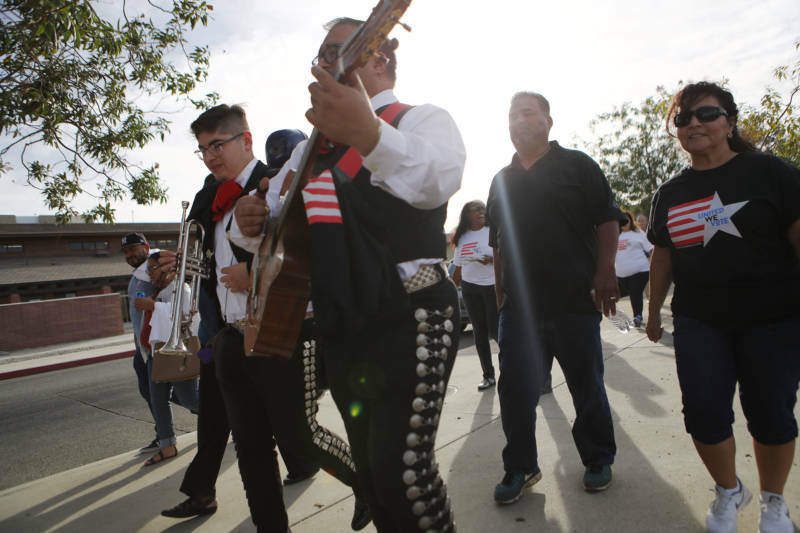 But, if you’re a first-time voter that registered by mail and didn’t provide your driver license number, California identification number or the last four digits of your social security number on your registration form, there’s a chance they might ask for your ID. And ... If you need extra guidance while you vote, you are allowed to use your phone, bring notes or reference a voter guide (like this one). Can I bring a friend ... or my dog with me? Yes. Well, up to two people -- as long as they are not your employer or your union. And canine friends, yes, you should bring them. 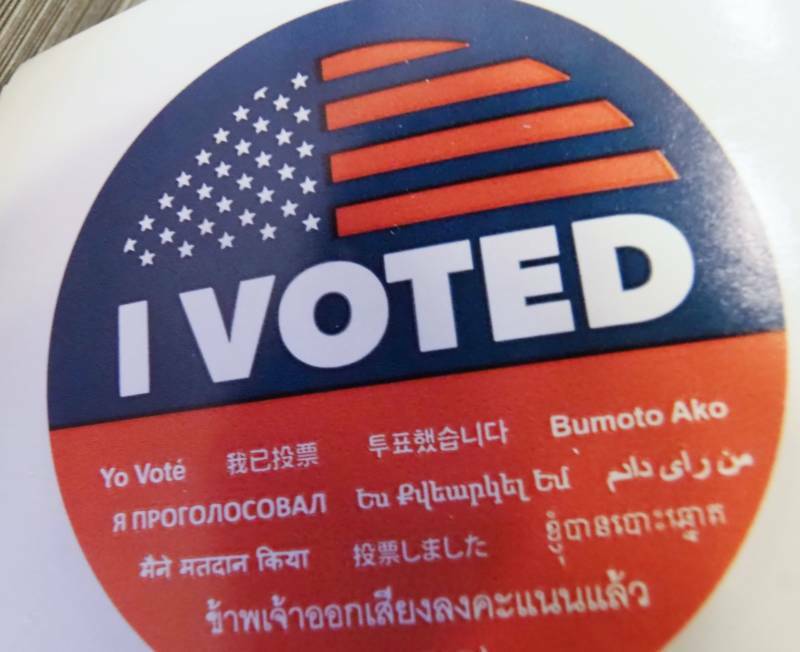 What if I need my ballot in a language other than English? You can request a different ballot in person or fill out a form online to receive translated materials in the future (fun fact: six new languages were added this year to the state’s language assistance requirements). How do I check my voter status? Looking up your status online will also tell you your political party, ballot language preference and the status of your vote-by-mail or provisional ballot. 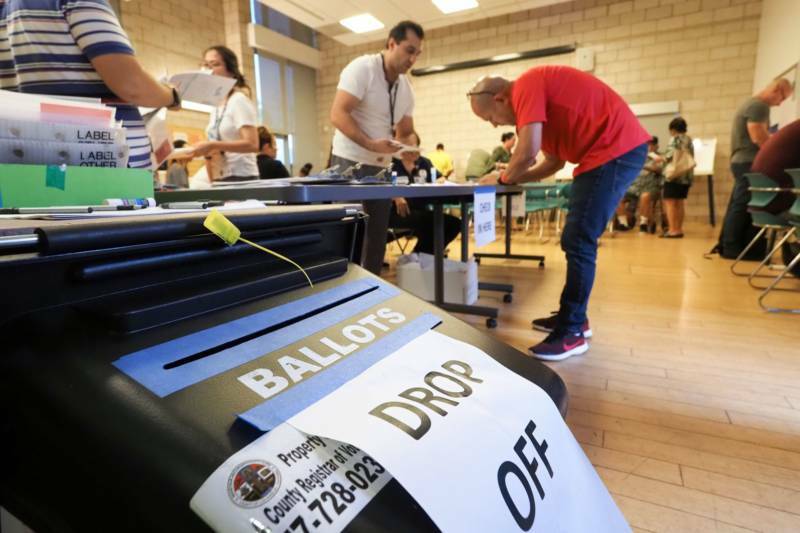 If you think you're registered, but your name isn’t on the list at your polling place, the law states they must still give you a provisional ballot. So ... what if I didn't register? Don’t fret just yet. You may still be able to vote. Eligible citizens can go to their county elections office to register as a conditional voter from Oct. 22 through Election Day. I've heard ballot selfies are now legit?